Once you go live with chat bots, webchat and social media interaction, where do you go from there? 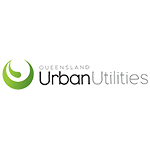 Queensland Urban Utilities are plowing forward with their new chatbot and trailing Facebook messenger communication. From embracing new customer contact channels, QUU aims to increase their customer satisfaction and create positive knock on effects in the future as customer learn to engage when they want and how they want. Check out the incredible speaker line-up to see who will be joining Sue.